We will participate in the Michigan Recreational Gymnastics League where gymnasts compete against others of the same age and skill level. Please discuss with your child’s instructor the appropriate time to move to the next level or contact the Gymnastics Coordinator to schedule a skill test. Gymnasts can only compete in the MI recreational league if they are NOT in AUU, Excel or USAG. Team Gold (ages 6-9) A skill test or instructor recommendation is required for registration into the Competitive Team. Gymnasts must be able to perform: a back-walkover on the floor, a pull over on the bars, a handstand on the beam and a handstand fall flat on vault. 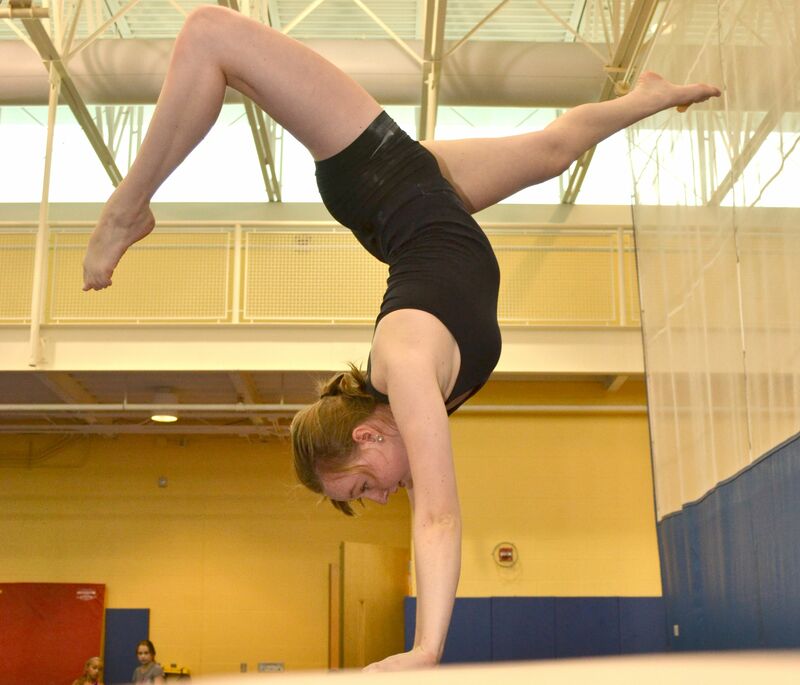 This team is geared towards gymnasts who have mastered skills learned in Advanced Gymnastics. Participants practice four Olympic events per class learning gymnastics skills as well as strength and conditioning. Team Platinum (ages 10 -14) A skill test or instructor recommendation is required for registration into the Competitive Team. Gymnasts must be able to perform a back handspring on the floor, a squat on to high bar, a back-walk over on beam and a front handspring vault. This team is geared towards gymnasts who have mastered skills learned in Advanced Gymnastics. Participants practice 4 Olympic events per class learning gymnastics skills as well as strength and conditioning.